After forty-nine years, the Stanley Cup returns to Chicago. 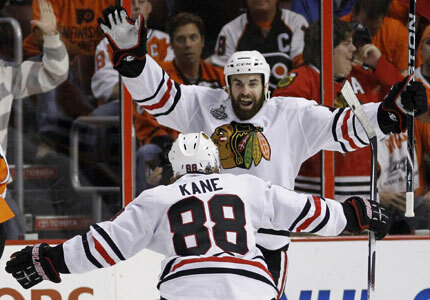 In bizarre fashion, Patrick Kane scored the game winner in OT. Watching the game, Kane's shot appeared to go in. It happened so quickly, and the puck became instantly wedged underneath the interior goal padding. No goal light was lit, no signal was given by the referees. Yet, a delayed celebration ensued when the Hawks players realized that there was no puck to play on a rebound! Chicago's off-season acquisitions paid off. Philadelphia, who's season could have been a complete disaster showed tremendous resolve in the regular season, and throughout the playoffs, battled to the very end. Jonathan Toews was named the Conn Smythe Trophy winner as the playoff MVP. 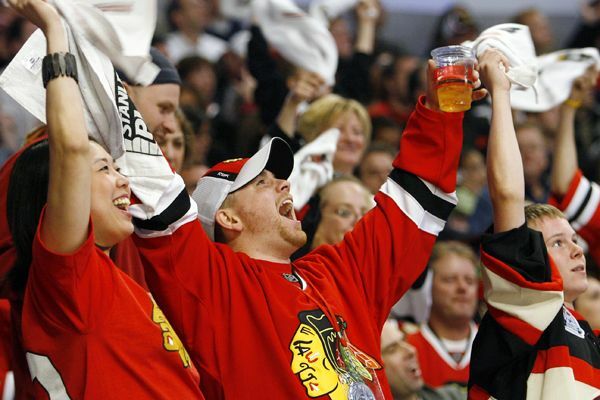 Congratulations to the Chicago Blackhawks and to all of their long-suffering fans.